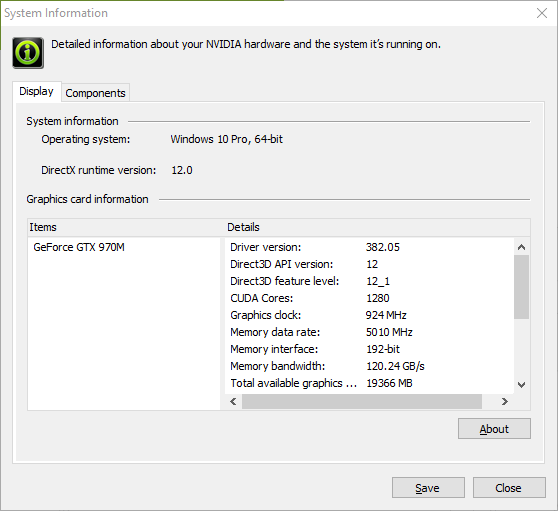 Next, you’ll need to download and install NVIDIA’s CUDA Toolkit. 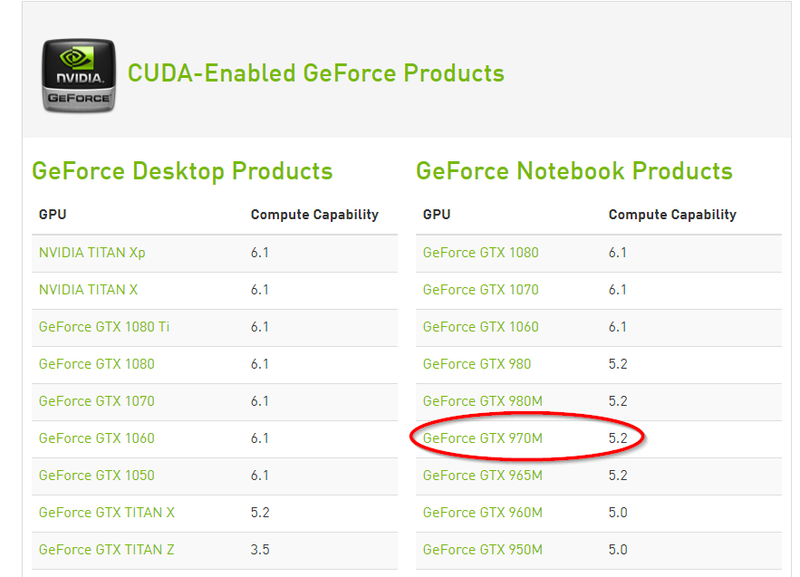 CUDA is NVIDIA’s parallel computing API that enables programming on the GPU. 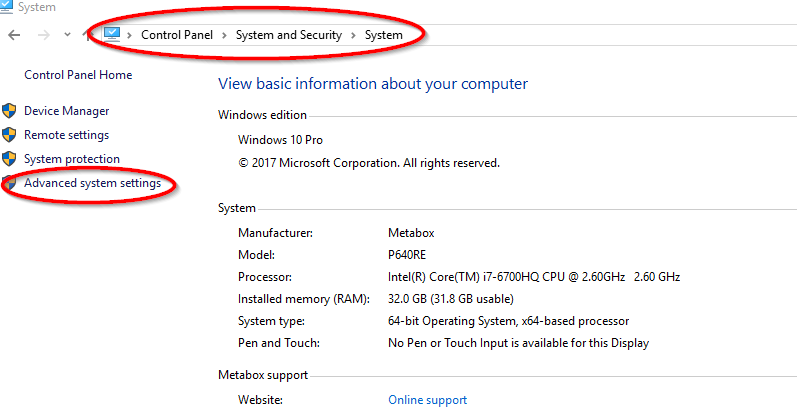 Thus, it provides the framework for harnessing the massive parallel processing capabilities of the GPU. 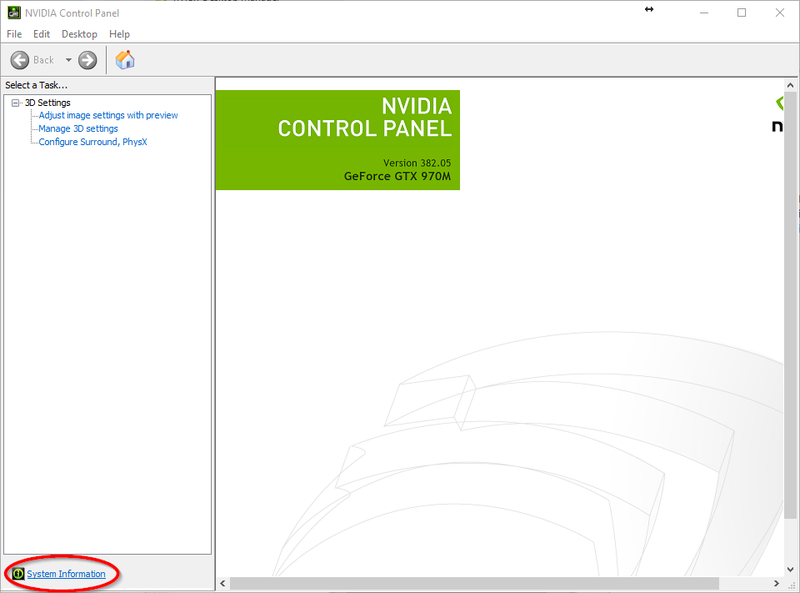 At the time of writing, the release version of TensorFlow (1.4) was compatible with version 8 of the CUDA Toolkit (NOT version 9, which is the current release), which you’ll need to download via the CUDA archives here.1The compatible versions of CUDA and cuDNN may change as new versions of TensorFlow are released. It is worth double checking the correct versions at tensorflow.org. 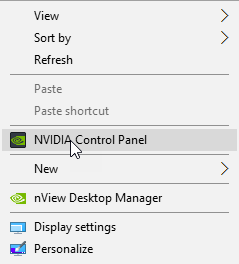 Having activated your NVIDIA developers account, you’ll need to download the correct version of cuDNN. The current release of TensorFlow (version 1.4) requires cuDNN version 6. However, the latest version of cuDNN is 7, and it’s not immediately obvious how to acquire version 6. 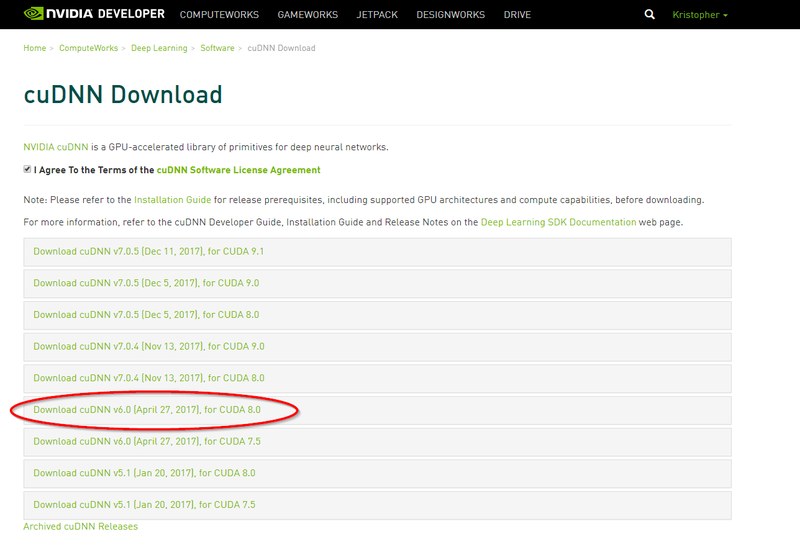 You’ll need to head over to this page, and under the text on ‘What’s New in cuDNN 7?’ click the Download button. After agreeing to some terms and conditions, you’ll then be able to select from numerous versions of cuDNN. Make sure to get the version of cuDNN that is compatible with your version of CUDA (version 8), as there are different sub-versions of cuDNN for each version of CUDA.2The compatible versions of CUDA and cuDNN may change as new versions of TensorFlow are released. It is worth double checking the correct versions at tensorflow.org.